Charles Musgrove had the good taste to fall for Anne Elliot, but ended up marrying her sister Mary. 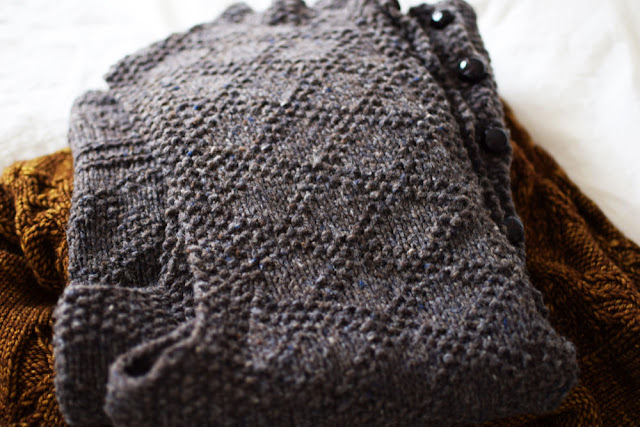 Doesn’t he deserve a handknit, too? 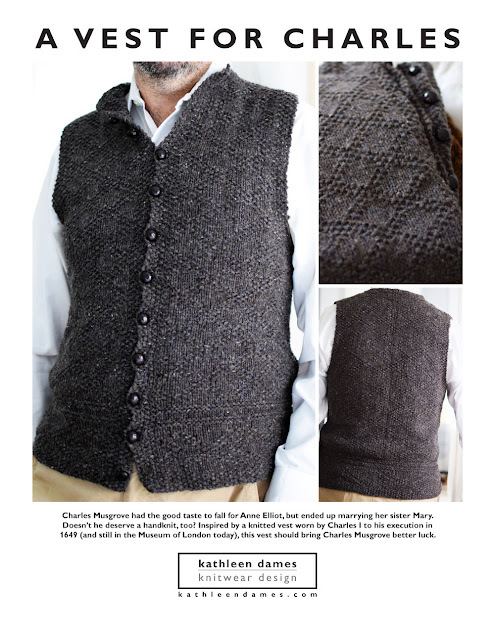 Inspired by a knitted vest worn by Charles I to his execution in 1649 (and still in the Museum of London today), this vest should bring Charles Musgrove better luck. Two stitch patterns from the original are used: the Diamonds and Crosses brocade border is separated by welting and topped by King Charles Brocade (a.k.a., Double Diamond). 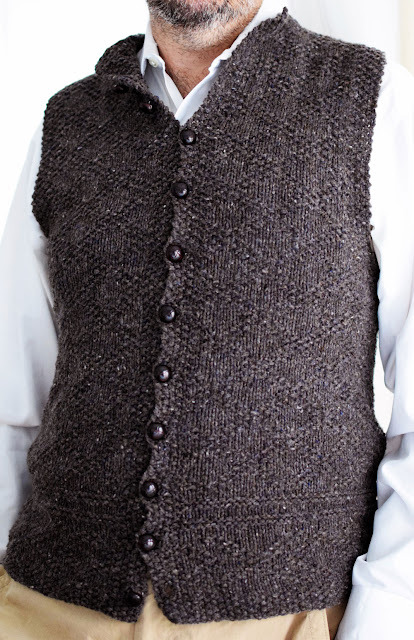 The King’s vest was knit in silk by a master knitter at 21 stitches per inch! A more manageable gauge and rustic woolen-spun yarn make this vest au courant for the Everyman (or woman). 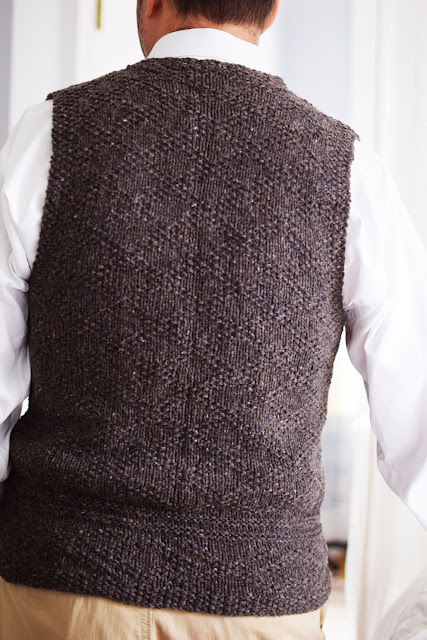 Integrated button bands and Seed stitch edgings make for a handsome, virtually finish-free project. Bonus: A vest means no sleeves! You will still create a handsome, fully-fashioned garment without having to knit sleeves. Brooklyn Tweed Shelter (100% Targhee-Columbia wool; 140 yds [128 m]/1.75 oz [50 g]): #08 truffle hunt, 5 (6, 6, 7, 8, 9) skeins. Size 6 (4 mm) 29-inch or longer circular (cir) needle (ndl). Adjust needle size if necessary to obtain the correct gauge, and choose length close to desired chest circumference. P.S. Wish you knew about this last week when it was released? 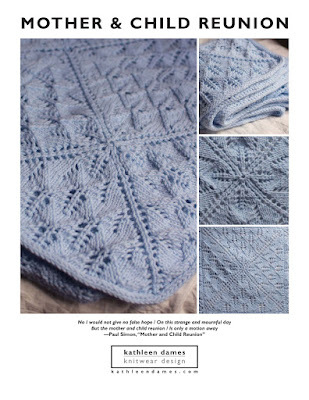 Join my newsletter to get the good stuff first, and you'll get a brief note from me once a week with pattern releases, tips and tricks to improve your knitting skills, and coupon codes just for subscribers.